Luxurious, safe and dependable midlife crisis hauler! Greeting and a Happy New Year! 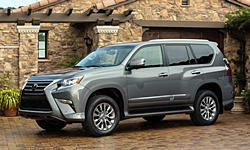 I am considering a Lexus LX 570 vs Lexus GX460 vs a Mercedes E350 Wagon. 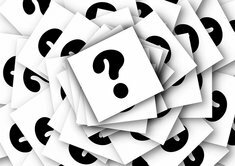 If anyone of you have had the opportunity to live with any of the above cars, let me know their quirks, any raves or rants, overall maintenance issues / costs, or anything you'd like to share. I'm appreciative of anything sice I've not owned any of these models before. 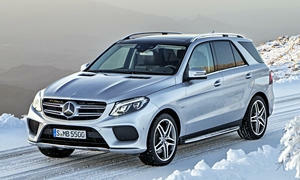 My wife is partial to the Mercedes Wagon and I am partial to the LX 570... its her car, she gets to choose. I'm just trying to get some current / past owners to give us some insight. The Lexus LX and GX are the most reliable of the three by far. The Mercedes will have the most problems and be the most expensive to repair. The Mercedes will drive better if you are looking for better handling. The LX and GX are about the ride comfort and towing capabilities. You get more car for the money with the Lexuses. 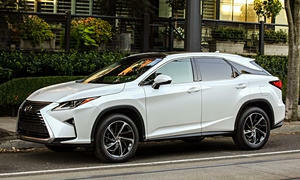 I would recommend the Lexus RX350 or RX450h. These are more attainable for your budget and are not overkill for your situation, like the GX and LX are. They are also very reliable. They don't fit as much in the trunk, but you didn't say you wanted trunk space. The LX is huge and a gas guzzler. The GX is a much more comfortable Toyota 4Runner. The Mercedes E-class has a lower repair record than those Lexus SUVS and the Mercedes car owners are more satisfied than the Lexus SUV owners according to J.D. Power, Trueldelta, and Consumer Reports. None of the big Lexus suvs will be entertaining to drive where the German station wagon will will handle just like the sedan sibling. If you haven't owned a German car you really owe it to yourself as they are a real pleasure to drive. I'm still a MBA member even though I currently do not own one. 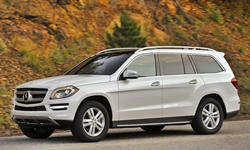 We did look at a GL this time last year it was a base model with MBTex synthetic leather. Very nice even in base trim with good outward visibility. I didn't say the Mercedes was a bad car. If you like it, go buy it, but know that the Lexus is better known for their quality and reliability than Mercedes, as everyone knows. That is a false statement about the reliability, Norm. I would buy the E-Class over one of those two Lexus SUVs because those Lexuses feel like they are from the mid 2000s. I would buy the RX over the Mercedes though. I know people in Mercedes Club of America that many own a E-Class as a second car. A couple are their primary cars that are E63/E54 AMG and they are very meticulous about them. They just don't take them to the dealership like Lexus owners do and pay thr bill on the way out. Sorry, there is no Lexus Club of America as they don't have a passionate following like the Germans.